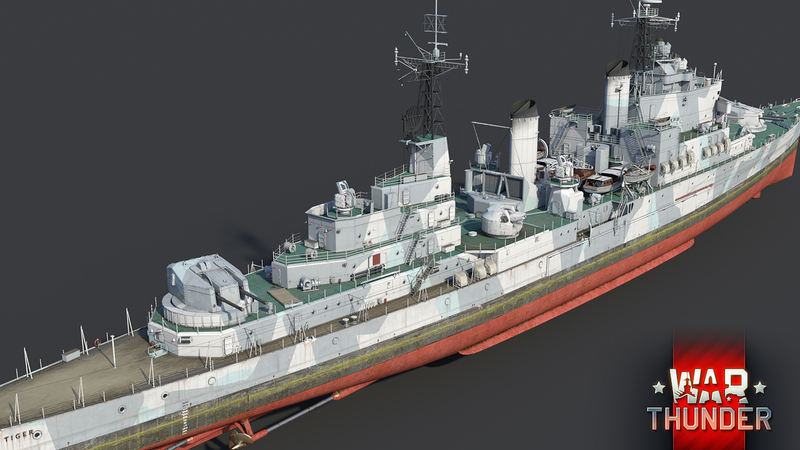 The light cruiser HMS Tiger is the last traditional WW2-era British gun cruiser design, which due to construction delays, only saw service with the Royal Navy well after the war. 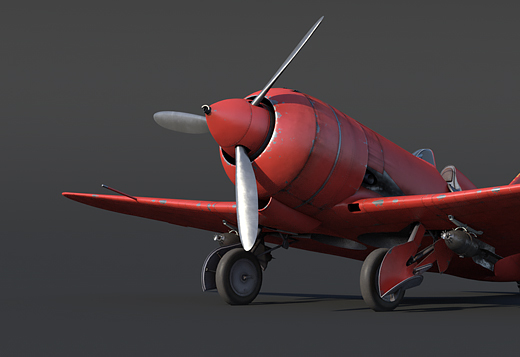 War Thunder captains will have the chance to obtain this warship as one of the prizes in the ”Battlefield Engineer” event! 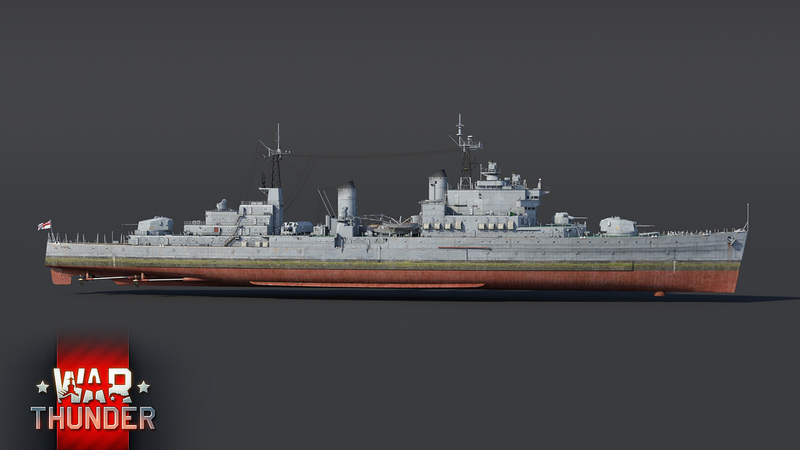 The three Tiger-class cruisers were initially laid down as Minotaur-class cruisers early on in WW2. However, their construction priority was considered low as British naval warfare at the time centered a lot around anti-submarine warfare - a role which ships of this class weren’t intended to fill. 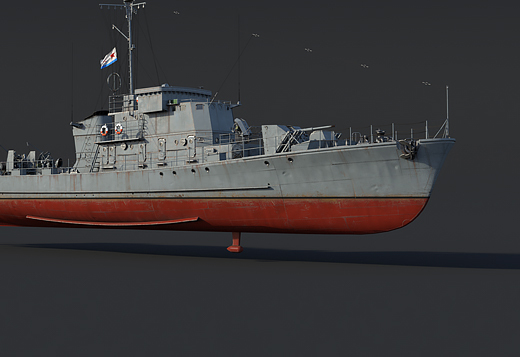 Thus, the ships would only be partially completed by the end of WW2, with their design being acknowledged as outdated. After WW2, the decision was made to complete the ships’ construction, but to a different design. 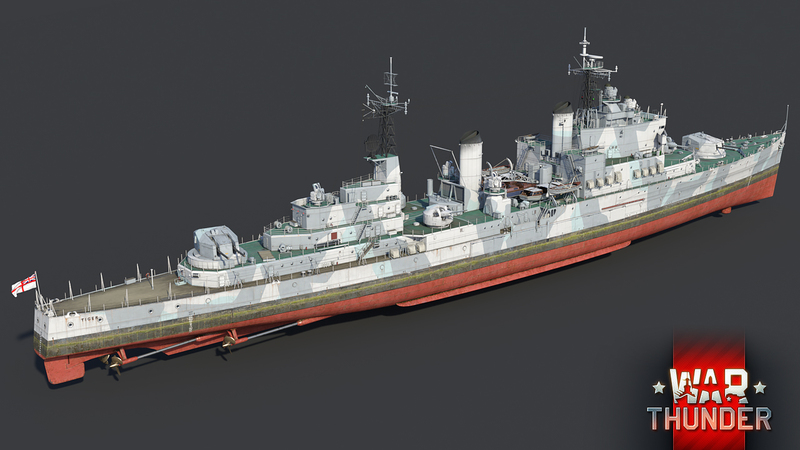 Work on completing the new Tiger-class light cruiser began in the early 1950s with the ships seeing completion by the end of the decade. The ships were refitted and modernized extensively, however, they remained outdated designs due to rapid advancements in technology and the changing nature of warfare. As a result, the class was soon afterwards converted into helicopter cruisers and went on to serve with the Royal Navy until the late 1970s. Tiger-class light cruisers were the final British 6-inch gun armed cruisers and the world's last large-calibre artillery ships, no one else has built such ships. Briefly: The last gun cruiser class employed by the Royal Navy, featuring semi-automatic high caliber primary and secondary weapons! 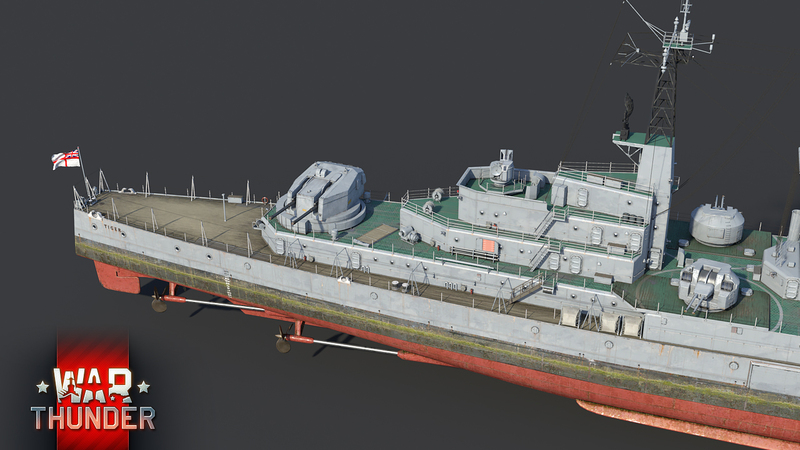 War Thunder commanders may at first glance think that the Tiger just seems like a regular light cruiser on the outside which has a concerningly small number of guns on its deck, make no mistake, the HMS Tiger packs a lot more punch than it might reveal at first. 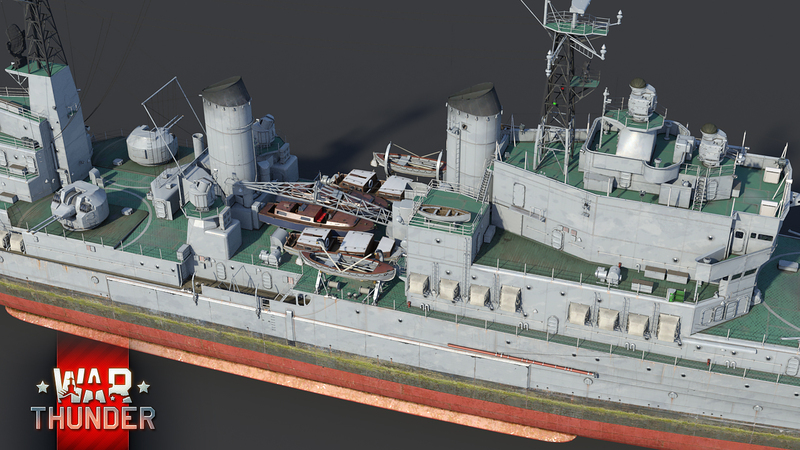 Although sporting just two turrets with twin 6-inch (152mm) cannons located on both the bow and the stern of the ship, the Tiger-class light cruiser can unleash a hailstorm of large-caliber projectiles, thanks to the semi-automatic guns providing for a blazingly fast rate of fire of 20 rounds/min! 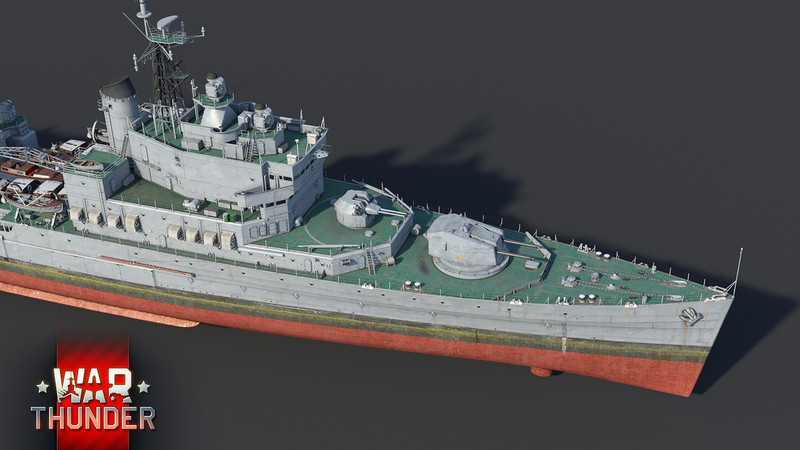 In each of the three auxiliary calibre turrets, two 76mm semi-automatic cannons are installed which are able to achieve an equally impressive 90 rounds/min rate of fire. 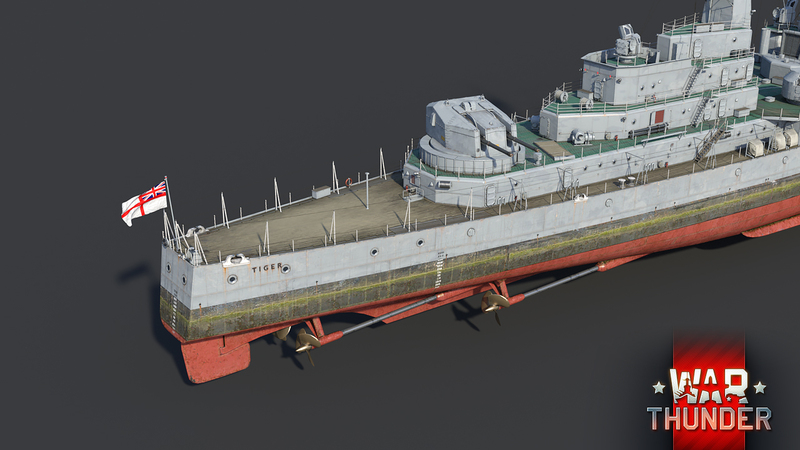 Thanks to such an astonishing fire rate, HMS Tiger will be a serious threat to any opponent whilst the cannons of the auxiliary calibre can deliver HE shells with a radio fuse which will provide excellent anti-air defence. 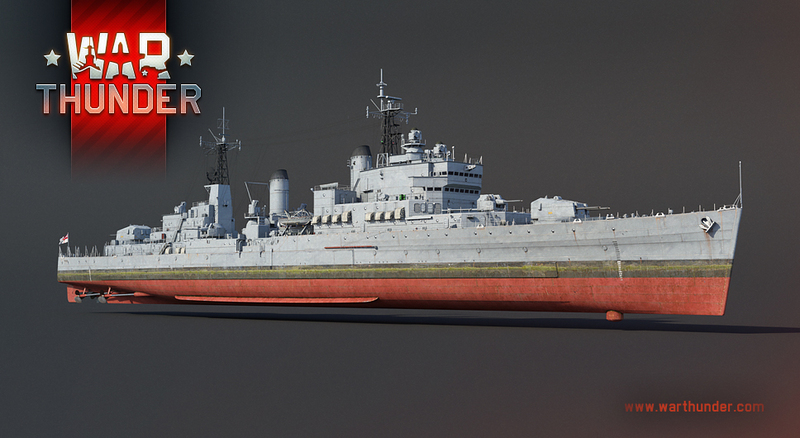 The light cruiser HMS Tiger - this special event vessel of rank IV is a powerful and valuable addition to any captain’s large warship collection, so be sure to get your hands on it! Most important part of the ship: Comes equipped with excellent Tea making facilitates. Yes the Tea! For the Tea! And the US only gets one vehicle too. So there was never a problem in the first place. 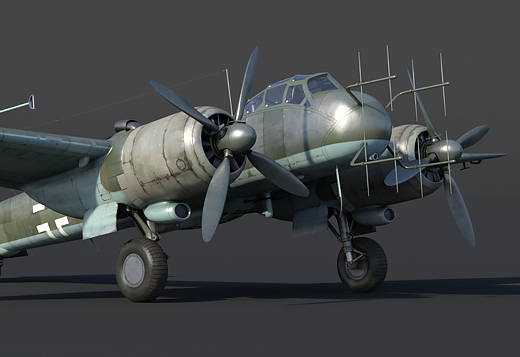 ANDROMADA, Just curious how many French, Italian, and Japanese vehicles are coming with the event. 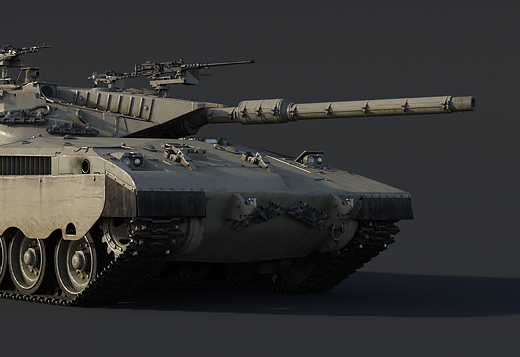 The only other two Israeli vehicles are in the US tree, along with several other vehicles used by the IDF. Why do you think it was going anywhere else ? IRMcG, Wut? Have you even heard of the Shot Kal? You are being way to hard on yourself! Yours might be the only question in this comment section that isn't stupid. You'll never get an answer because they don't care but no, not a stupid question at all. Definitely my priority for this event. I would guess later next week, probably on friday, maybe one or two days earlier but iirc events usually start on fridays. Nanotyrann, maybe 14th of April.